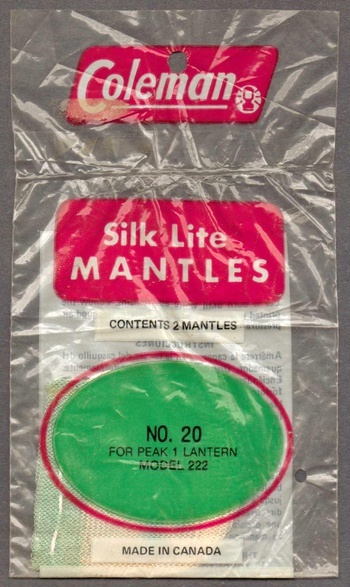 In Sporting Goods > Camping Lanterns > Show & Tell. ** Coleman Company, Inc., is an American company that specializes in outdoor recreation products. Historically, Coleman is known for camping gear. It was founded by William Coffin Coleman, who began selling kerosene lanterns in 1900 in Kingfisher, Oklahoma. He moved to Wichita, Kansas, in 1902. In the past, the company also produced a range of cooking stoves and domestic irons. 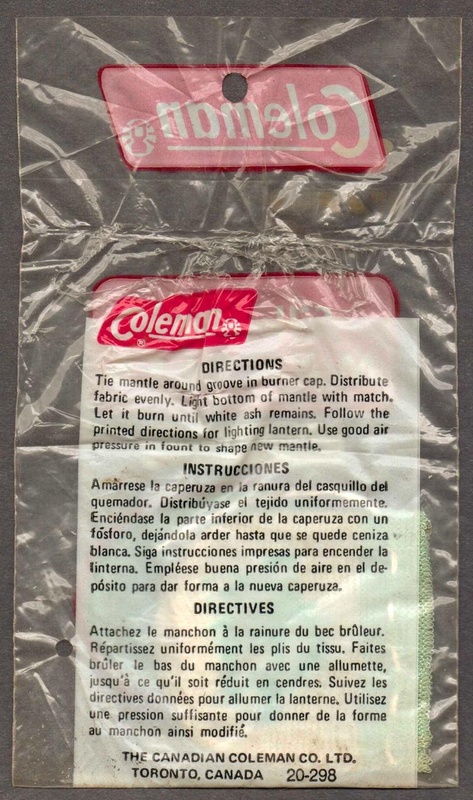 Coleman also manufactures camp stoves (including the original "G.I. Pocket Stove"), sleeping bags, coolers, hot tubs, generators, watches, sandals, tents, dog toys, and backpacks among other things. Coleman is owned by Jarden Corporation since 2005.